Jim Dracup is the author of a long out of print book, A Magician Goes To Church . That book has become one of the most requested and sought after works in the field of gospel magic. Since the publication of that first book, Jim has been gathering material and perfecting and polishing the routines that he uses on a day to day basis. That material has been published in the form of Magic With An Upward Look . This is the first ebook in a trilogy of gospel magic ebooks by Reverend Dracup. Magic With An Upward Look contains only the best and the brightest material. There is, for instance, a chapter on the History of Magic and another on The Story of Silk. 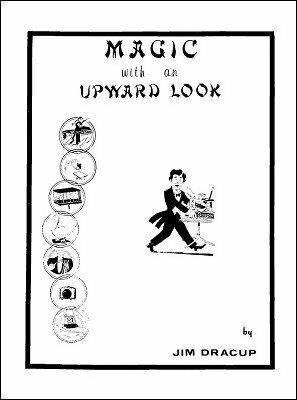 The author has also included an invaluable chapter on mixing music with magic ... an area frequently left unexplored. And there is a chapter on the "Ps" of magic: Presentation, Performance, Personality, Preparation, Patter, Promotion and Publicity. Perhaps its possible you'll find these chapters perceptive and penetrating. 1st edition 1985, 150 pages.